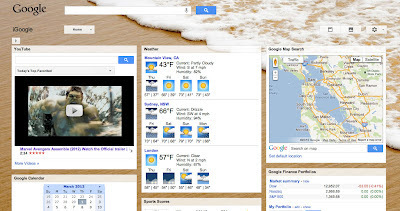 some design changes to iGoogle for a more streamlined and consistent experience across Google products. Today, you can preview a few more improvements to iGoogle’s look and feel that simplify the page further while offering even more personalization. You can now brighten up your iGoogle page by choosing from our new selection of beautiful and immersive full-page themes. We partnered with iStockphoto to bring your favorite Gmail themes to iGoogle - just pop open our theme directory to try them out. 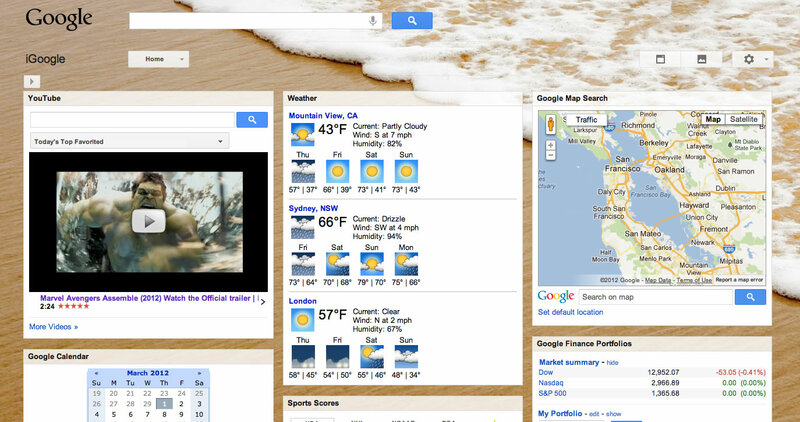 You can now share the best themes and gadgets with your friends on Google+ simply by clicking on the +1 button. You’ll also notice some new icons to access your settings, add gadgets, or change your theme. These icons, as well as a couple other minor changes to the page, bring more consistency with other Google products. These new features are available globally, and if you’d like to try them out, just click on Switch to the new look in the bottom right of iGoogle. This will be rolling out to everyone as the default view in a few weeks, but if you'd like to temporarily revert back to the old look, you can do so via the settings menu. Last September we introduced some design changes to iGoogle for a more streamlined and consistent experience across Google products. Today, you can preview a few more improvements to iGoogle’s look and feel that simplify the page further while offering even more personalization.